Samsung is yet to release a proper mid-range Galaxy J device this year, and the first one is expected to be the Samsung Galaxy J7 Duo with Samsung J720F model number. 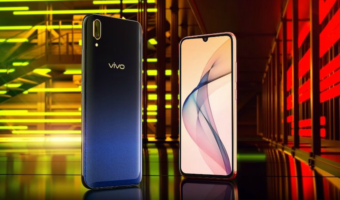 The device is expected to launch in the Indian market before heading over to other markets, and it seems like we’re drawing close to the launch event as the complete specifications of the smartphone have surfaced online. As per a new report, the Samsung Galaxy J7 Duo is expected to be the first Galaxy J mid-range device with dual rear cameras to launch in India, and it’s expected to come with an AMOLED display. Samsung moved away from its tradition of releasing mid-range phones with AMOLED displays in favour of IPS LCD and TFT display devices, but the J7 Duo will come with an AMOLED display. 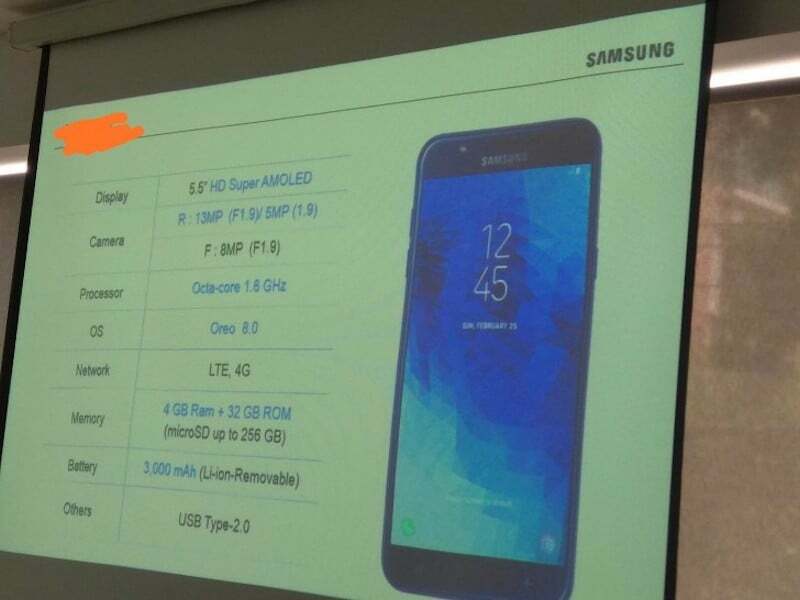 Folks at GSMArena received an image from the sales training session of the Galaxy J7 Duo, which means that the information is an accurate one. Speaking about the specifications, the Galaxy J7 Duo comes with a 5.5-inch Super AMOLED display with HD resolution, not an 18:9 display though. The phone will be powered by the 1.6GHz Exynos 7870 octa-core chipset, which will work in tandem with Mali-T830 GPU. RAM and internal storage in the smartphone were not revealed in this leak, but the phone might arrive in a couple of variants with 3GB of RAM and 4GB of RAM. Cameras in the J7 Duo include a 13MP primary sensor at the back which will be paired with a 5MP secondary sensor. The primary sensor will come with f/1.9 aperture. A 8MP selfie camera will be present on the front. Another highlight of this leak is the phone will come with Android 8.0 Oreo out of the box with Samsung Experience 9.0 UI on top. 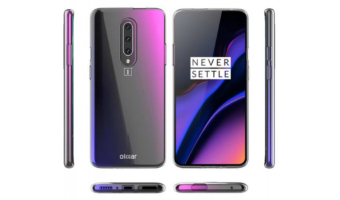 The smartphone is also expected to feature a removable back panel so that users can remove the 3000mAh battery and install a new one for enhanced usage. 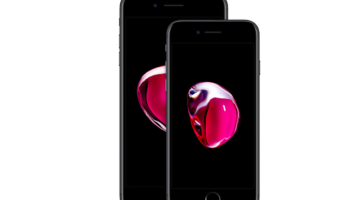 At the moment, we don’t have any release date from Samsung nor from leaks. But with the final specifications arriving, it might be a matter of time for Samsung to release this new mid-range device. It will be interesting to how Samsung prices this upcoming handset. Dead on arrival!!!!! 1.6GHz in this day and age is dead on arrival!!!!! Samsung only comes with good displays, nothing else!!!!! Samsung lauch phone at higher price . Why not buy Samsung Galaxy A5/A7 (2017) instead of this and Samsung Galaxy J7 Pro!!!!! !